Throughout the country, Canadians are finding interesting and unique ways to celebrate Canada’s 150 anniversary of confederation. As a proud recipient of Canada 150 project funding from the Government of Canada, MindFuel created a new digital learning resource about Canada’s great inventions and innovations. 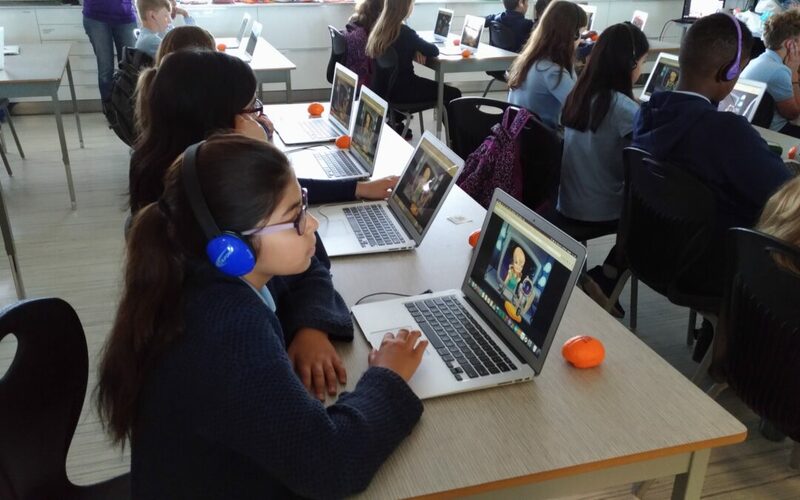 The new Wonderville.org game was launched June 20 (French version) and June 21 (English version) with students across Canada participating in webinars, being some of the first to ever play Mission: Maple Leaf. Mission: Maple Leaf is an interactive, bi-lingual, multi-level, digital educational game that pays tribute to some of the many Canadian scientific achievements. It takes users on a journey across time and space. After receiving a distress signal from a far off planet, the player, alongside a cheeky little Robot named Ed, must complete a series of puzzles which take a trip through some of Canada’s greatest scientific and technological achievements. The game uncovers how Indigenous People overcame the challenges of how to farm in Canada’s climate and how to communicate and trade without a common spoken language. It shows the ingenuity of Canadian people across the fields of health/medicine, transportation, communications and agriculture, as well as Canada’s contributions to space exploration and how young Canadians are impacting our world. The goal of the project is to inspire students to engage with science, technology, engineering and math (STEM) studies and pursue STEM-related careers.